The Politburo wants to fight regional inequality, but does it have the right tools? A few months ago I noted that there was an unusually clear divide in how Chinese officials were talking about the renewed widening in regional inequality as overall growth slows. 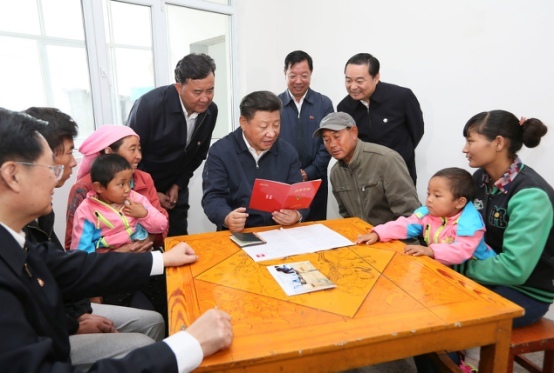 Many officials, up to and including Xi Jinping himself, see this phenomenon as a clear challenge to the Party’s egalitarian aspirations that must be fought with ever-greater infusions of money and government involvement. But some economic liberals, such as the “authoritative personage” sometimes featured in the pages of the People’s Daily, see the divergence as an unavoidable process as the economy reorganizes itself in the aftermath of an unsustainable investment boom. Neither a reference to regional divergence, nor an instruction to increase support to troubled regions, were in the statements issued after the previous Politbuto meetings on the economy in April and July. So it seems that this issue is moving higher up the agenda, and that the laissez-faire approach for dealing with it has been rejected. Is this the right approach? There is already a fair amount of central government support to the poorer provinces, and while it’s hard to assess exactly how much redistribution is happening, it is probably the case that there is less redistribution in middle-income China than in higher-income countries. So there is probably a case for increasing redistribution over time anyway. My question is more about how the redistribution happens: in China a lot seems to happen through centrally-funded investment projects or grants to local governments. In the US, by contrast, regional redistribution seems to happen mostly as the automatic consequence of the combination of a progressive income tax and social welfare benefits: in regions with more high-income households, those households pay in more taxes and receive less in benefits, while the reverse is true in regions with fewer high-income households (see this short paper from the San Francisco Fed for a useful summary). Both the federal income tax and federal benefits are direct interactions between the federal government and households, while in the Chinese system it’s much more about moving money between the central and provincial governments, as well as using off-balance-sheet spending by state-owned enterprises. The Chinese style of regional redistribution may have some undesirable consequences: there’s a high correlation at the provincial level between receiving more fiscal transfers from the central government, and having an economy more dominated by state firms. This pattern probably does not help the receiving provinces become more economically self-sustaining over time. So while increasing redistribution could be a reasonable response to current conditions, there’s more than one way to do that. And ramping up government-sponsored investment projects even further is not necessarily the best way. Indeed, I suspect dislike of these potentially wasteful and corrupt projects is one reason why economic liberals are not so enthusiastic about regional redistribution as a policy priority. An alternative would be do to more redistribution directly to households, through the tax and social welfare system. Indeed, Brad Setser (albeit in a rather different context, continuing our conversation about investment and savings) proposes a deficit-financed restructuring of the social welfare system, involving lowering (very high) social insurance contributions while increasing (still low) public health insurance benefits. He’s not the first to suggest that a redesign of the tax and benefit system in China could help deliver some short-term stimulus as well as address some longer-term structural problems (such as the hukou system and regional inequality). That would seem to make this a potentially very attractive option. And I agree that, while there are a lot of moving parts, such a policy shift could potentially be very beneficial. Yet it says something about the current impoverished state of public policy debate in China that there is, as best as I can tell anyway, not a lot of serious public discussion of such a change.